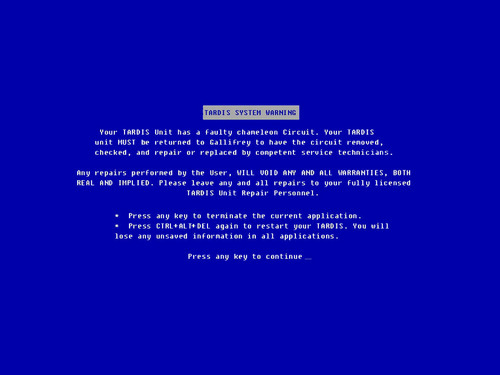 Tardis Blue Screen. . HD Wallpaper and background images in the doctor who club tagged: doctor who wallpaper funny tardis. Lol, I love it. 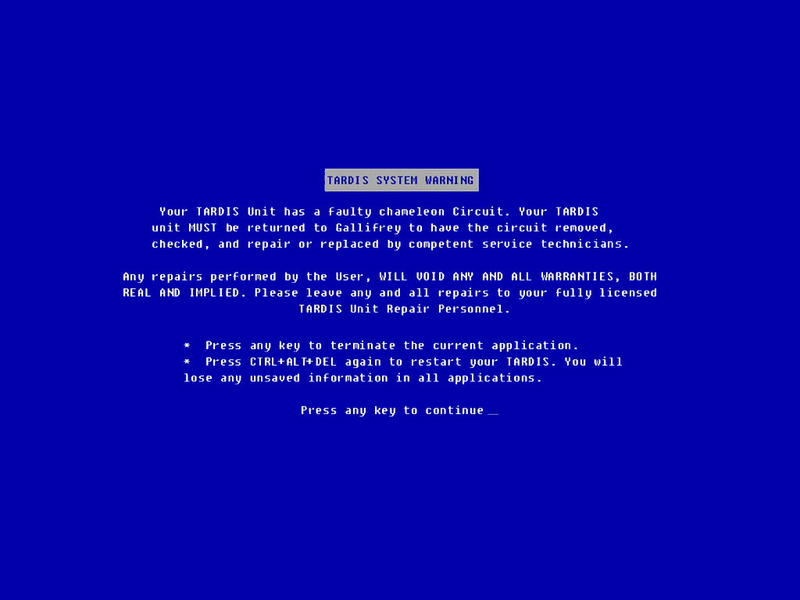 Everyone's favourite blue screen on death, TARDIS style. thats cool! How'd you get that? Pity the TARDIS doesn't have an ANY KEY.